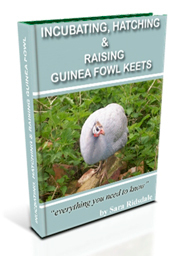 Guinea fowl keets require heat in the brooder for the first 6-8 weeks after hatching and then the heat can usually be turned off after 6-8 weeks depending on the conditions where the brooder is located and the number of birds in the brooder. 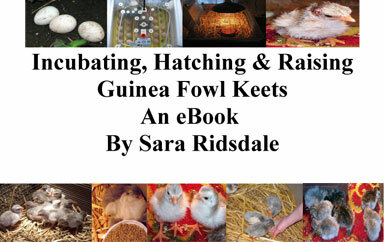 For guinea fowl keets the brooder temperature should start at about 95-100 degrees fahrenheit (35-38 degrees celsius) for the first 1-2 weeks and then reducing by 5 degrees fahrenheit each week. 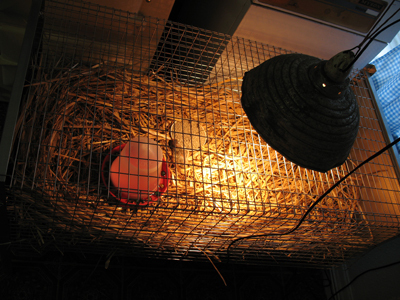 When turning off the heat lamp keep an eye on the keets and if they start to huddle together then reconsider turning the lamp on for short periods of time until the keets become accustomed to the ordinary air temperature.